In April President Obama visited nations on the rim of eastern Asia to reassure them of U.S. support against China, whose government has aggressively laid claim to islands in the East China Sea that these nations regard as their territory. China’s response has been to strengthen its ties with its inland neighbors, especially Russia and Russia’s client states in central Asia. 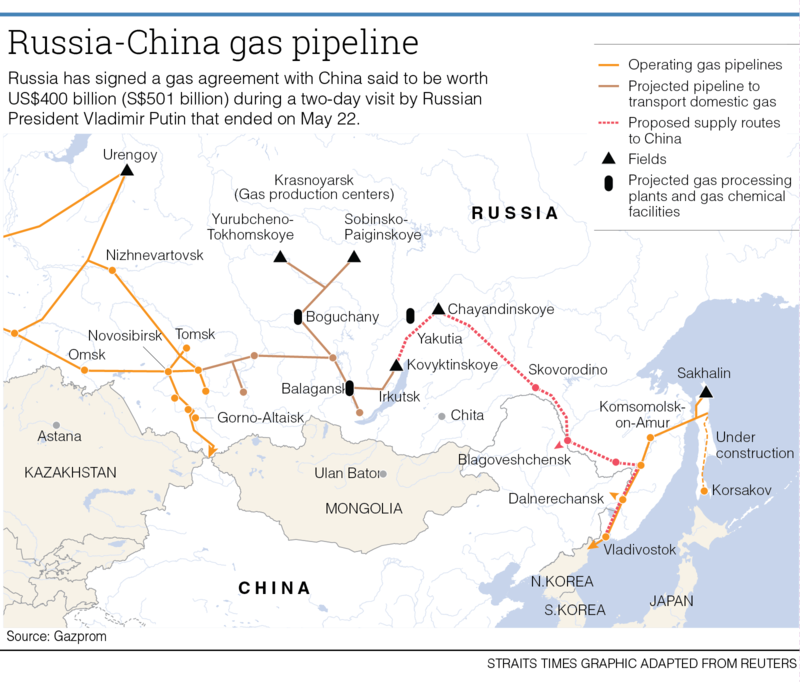 Last week China announced a $400 billion deal to buy natural gas from Russia. At the same time President Xi Jinping called for greater military co-operation among China, Russia and Iran. Guests at the Russian-Chinese conference included Presidents Hassan Rouhani of Iran, Nasr al-Maliki of Iraq and Hamid Karzai of Afghanistan. Ironically, their presence together was made possible by the U.S.-backed regime change in Iraq and Afghanistan. If Saddam Hussein were still in power in Iraq, he would not be found in the same room with a leader of Iran. And the Taliban in Afghanistan, before the invasion, were much more anti-Russian than anti-USA. Pepe Escobar, who has long reported on these developments for Asia Times, says that the most important event of the 21st century will be the economic integration of the Eurasian continent. Many things could go wrong with this. Just because something is announced doesn’t necessarily mean that it will happen. But I don’t have any specific reason for doubting this will come true. I would like to see a world at peace, and I would like to see international institutions capable of settling disputes and addressing global problems such as climate change and nuclear arms. Unfortunately these are not the kinds of international institutions that we the people are being asked to support. The most powerful global organizations, with the possible exception of the Roman Catholic church, are international banks and corporations. 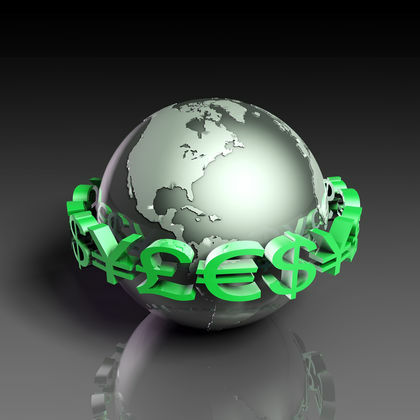 International institutions such as the World Trade Organization, the International Monetary Fund and the European Central Bank enforce rules that serve the interests of banks and corporations. The proposed Trans Pacific Partnership Agreement and similar proposals would give the world’s corporate and financial elite new tools for enforcing their agendas. While there is urgent need for international agreement and institutions to deal with climate change, TPP-type agreements actually would give corporations the right to appeal national laws and local rules aimed at limiting greenhouse gasses. What makes the banks and corporations powerful is that money can go anywhere while most people are stuck where they are. Migrant money is treated with deference. Migrant Mexicans in the United States, migrant Uzbeks and Kazakhs in Russia, and migrant Filipinos in the Persian are treated like dirt. The European Union’s current austerity program is an example. The well-being of Europe’s people is being sacrificed to ensure that Europe’s banks never suffer losses. I’d guess this is the main reason for the success of Europe’s nationalist right-wing parties in the recent elections to the European Parliament. American slavery and white supremacy were crimes against humanity. At the same time I doubt that most white Americans, in the past or present, got any benefit from slavery and racism, aside from the psychological benefit of having someone we could hate and despite. I know that I as a white person had been treated better in almost any situation than a black person would be. But if black people were treated better, I don’t think this would caused people like me to be treated worse. In contrast, I know that I as a white person benefit from the force and fraud used to take the North American land away from the American Indians. It is because of that crime that I am able to live in the house I own. I don’t see any such cause-and-effect relationship in the crime of slavery. American slavery at its peak was of enormous economic importance to the United States. The monetary value of American slaves exceeded the value of all American factories and railroads put together. 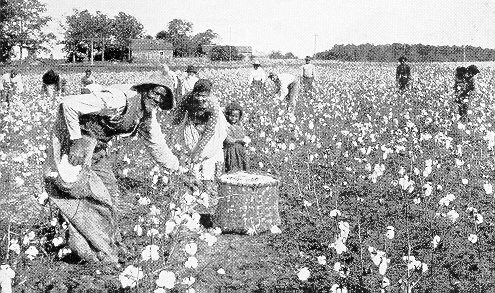 Slaves cultivated and picked cotton, which in 1840 accounted for nearly 60 percent of U.S. exports. The whole industrial revolution was based on the textile industry, which was based on cotton. But I ask: Did anyone benefit from this except for a wealthy elite? The average white person in the South were better off than the average black person, but not never as well off as the average white person in the North. Foreign travelers reported going down the Ohio River, and noticing the clean, prosperous, well-maintained farms on the Ohio side and the dirty shacks on the Kentucky side. The difference was that white farmers in free states didn’t have to compete with slave labor. Suppose there had been no slavery. Cotton would have been picked somehow by someone. It might have cost more, and some other nation might have had a comparative advantage over the USA. But the United States would have been spared the death and destruction of the Civil War. The economic development of the United States might have been more rapid without plantation slavery. Southern planters opposed the interests of Northern manufacturers. Under the Lincoln administration, Congress passed the Homestead Act and the Land Grant College Act, and granted subsidies for transcontinental railroads. 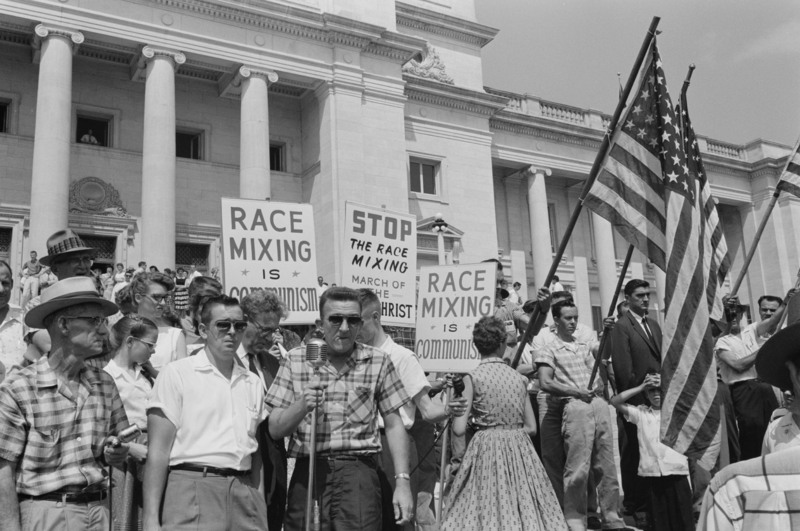 Without Southern opposition, these things might have happened years earlier. The appeal to white racism was a technique to divide and rule. Poor black slaves and white indentured servants rebelled in Virginia in 1676 and nearly overthrew the colonial government. The powers-that-be responded with laws enforcing legal distinctions between white and black. Poor black and white sharecroppers in the South joined forces again in the Populist movement of the 1880s. This was broken up by an appeal to the racial pride and Confederate nostalgia of the whites, and was soon followed by the Jim Crow laws. Industrialists in the North also encouraged ethnic and racial divisions among their work forces—not just between whites and blacks, but among different immigrant groups. Blacks were relegated to low-wage jobs and excluded from majority-white labor unions, which enabled employers to use them as strikebreakers. This continued until the rise in the 1930s of the CIO unions, which opposed racial discrimination. In more recent times, political propagandists such as Lee Atwater and Karl Rove have successfully split the working-class vote by subtle appeals to racial antagonism. All these things work to the advantage of a small minority of rich people, most of them white but not representing the interests of most white people. Yes, there are black people who are prejudiced against white people. I don’t think they benefit from their prejudices either. 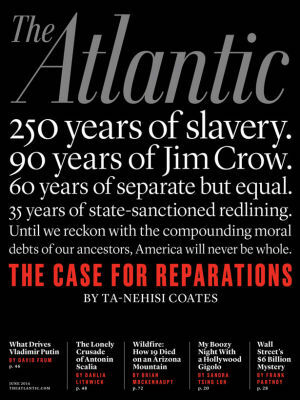 I wish that every American would read The Case for Reparations by Ta-Nehisi Coates in the June issue of The Atlantic. It is painful reading. It tells how U.S. government policy has worked against African-Americans from the days of slavery and Jim Crow down to the present time. But while I think the facts he cites are true and important, I do not think he makes his case. The word “reparations,” like the phrase “white privilege,” diverts attention from the real issue, which is equal justice for all. The word “reparations” shifts attention away from present injustice to past history. The problem with focus on the past is that all of us, except for a few kings and aristocrats, are descended for poor, oppressed people, and have historic grievances. It is human nature to be more aware of injustices committed against your own group than injustices against others, and any claim that one historical injustice deserves more attention than all the others is bound to meet with resistance. There have been many crimes against humanity besides the enslavement of the American Indians—the Nazi Holocaust (which was not limited to the Jewish people), the crimes of Communism, the dispossession of the American Indians, U.S. military aggression against Mexico and Spain, the Irish potato famine and on and on. Now perhaps there is somebody in the world with enough wisdom and Olympian detachment to make an objective judgment as to which historic injustice is worst. But I don’t think that there is anyone in the world with enough moral authority to make people accept that judgment. I grant that in present-day USA, African-Americans on average will be treated worse than others, no matter what their position on the social scale. In fast-food restaurants, you will find members of minority groups in the kitchen and white people serving customers—not always, but typically. Black people earning $100,000 a year typically live in the same kind of neighborhoods as white people earning $30,000 a year. And if the Obama daughters were ever as rowdy as the Bush daughters, the press would cut them a lot less slack. Nevertheless race and racial prejudice aren’t everything. The Obama and Bush daughters have many more life experiences in common than they have with middle-class members of their own races. And black and Hispanic fast-food workers are not going to get anywhere until they join forces with their white Anglo co-workers to demand better pay and working conditions for all. The key to ending racial prejudice in the United States is not by trying to make white people feel guilty, but by showing them that it is in their self-interest to unite with black fellow citizens to achieve common goals. Labor has always been weaker in the United States than in other industrial countries, and the reason for this is that working people have been divided against each other along racial, religious and ethnic lines. “Reparations” is a trigger word that widens these divisions. What does the USA owe its black citizens? Almost all nations have things in their past that their peoples find hard to come to terms with. We Americans have not yet come to terms with our nation’s history of slavery and white supremacy. Racism in the United States is more than just the bad attitudes of certain white individuals toward black people. It is the history of government action t0 enslave black people, to deny black the rights of citizenship after slavery was abolished in law, and to exclude them from full participation in society. The New Deal was tailored so as to freeze out black people from most of its benefits. Social Security was written so as to exclude domestic servants and agricultural laborers, which were the majority of black people in the 1930s. The Federal Housing Administration for decades had a policy of refusing to lend money in any neighborhood in which a black family lived. White suburbanites who said that the value of their house would be destroyed by having a black family in their neighborhood were speaking the literal truth. This was official government policy. Ta-Nehisi Coates of The Atlantic goes into all this an interview with Bill Moyers, which is shown above, and in an article, The Case for Reparations, in the Atlantic’s June issue. Coates reported on black families who escaped to Chicago from the Deep South, where they were outside the protection of the law, where their incomes were sobject to the whims of white people, and where their property could be taken from them at any time. In Chicago, they were confined to ghettoes by action of the government, the banks and white mobs, who had the same impunity as white mobs in the South. Their red-lined neighborhoods are the parts of Chicago where poverty and crime are highest today. Nor is this all in the past. The new voter ID laws and other voting restrictions are aimed at discouraging black voting. Refusal to expand Medicaid disproportionately affects blacks. Drug laws are enforced selectively against poor young black men, who as convicted felons are then excluded from the protection of anti-discrimination laws for the rest of their lives. Coates doesn’t deny there has been progress. The Rev. Martin Luther King Jr. had a better start in life than Frederick Douglass, but he did not have an equal start with white peers. Black people once were barred from many occupations. Now it is just more difficult for them to be hired. “Reparations” is a trigger word that is easily misunderstood. 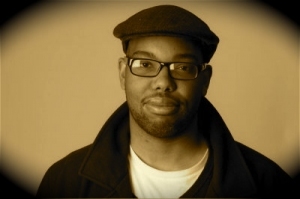 Coates did not call for the government to write checks to the descendents of American slaves. Rather he called on Americans to recognize that the nation (not just white people, but the nation as a whole) owes something to black people, and to discuss just what that is. I have reservations about the word “reparations,” but I think that Coates is absolutely right to say that we Americans need to face up to our history—the bad along with the good. I think every American should read his article. There is a tried and true way to prove that government can’t do anything right. You campaign successfully for office. Then you deny the government agencies you’ve targeted sufficient funds to do the job (as with the Veterans Administration) or add requirements they can’t meet (as with the US Postal Service) or appoint incompetent managers (as with FEMA under the Bush administration). Sit back and watch your victims struggle. Give the predictable failure as a reason for abolishing the program or turning it over to for-profit business. This is as old a technique as the Biblical story of Pharaoh ordering the Hebrew slaves to make bricks without straw. The Veterans’ Administration scandal is more than individual mismanagement and bureaucratic coverup. 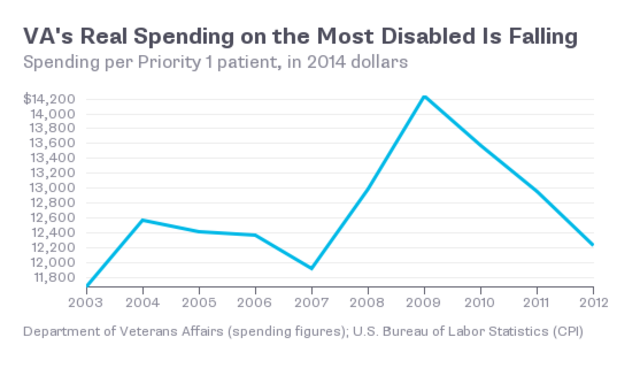 It is also that the VA doesn’t have enough money to keep up with the increasing number of severely disabled veterans. CNN reported that veterans are being forced to wait more than the 14-day maximum set by President Obama, and that many VA hospitals have covered this up by keeping veterans’ names off the official waiting list until they could meet the deadline. At one hospital, CNN reported, 40 veterans died while waiting to be treated. There is no excuse for this, any more than there is an excuse for high school teachers and administrators falsifying student test results. But when you have a bureaucracy that says your career depends on meeting impossible numerical goals, and you lack an independent means of checking results, there will be cheating. It is not justifiable, but it is predictable. Memorial Day was originally a holiday to honor the Union soldiers who sacrificed their lives in the Civil War. Because of medical advances, a smaller percentage of troops die now than died then on the battlefield and in military hospitals afterward. The ironic result is that a higher percentage survive to live with the mutilations and amputations of war. 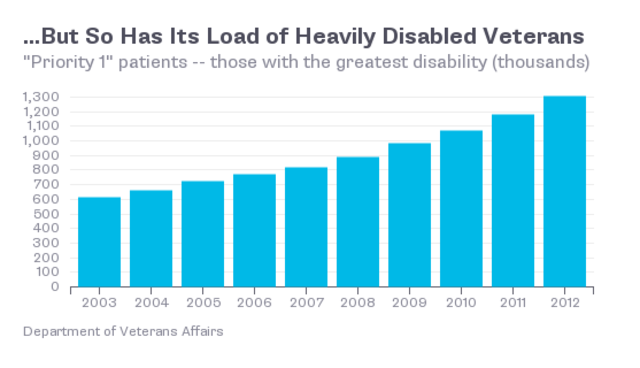 The Washington Post reported that the percentage of veterans applying for disability benefits is the highest on record. I don’t believe this is because this is because (or at least not mainly because) of malingerers. I think the higher disability rate reflects a higher survival rate. Mismanagement and coverups in the Veterans Administration are wholly the fault of the Obama administration. 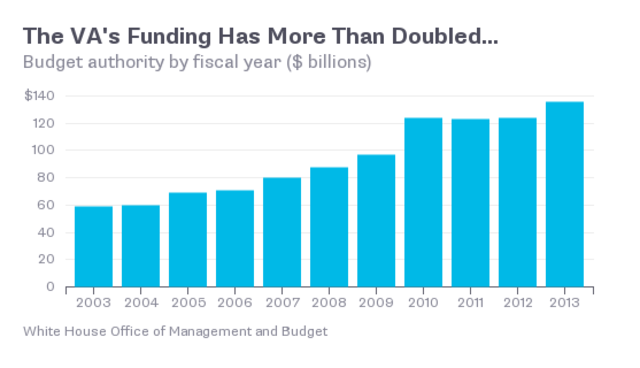 Lack of sufficient funds to do the job is the responsibility of both the administration and of Congress, and the congressional Republican budget hawks in particular. It is right and fitting that we honor our war dead with parades and flag ceremonies on Memorial Day, but it should not stop there. We honor our dead when we pay our debt to the living. Alberto Rodriguez, the Dominican-born owner of auto repair shop in Queens, works atop the most radioactive spot in New York City. A predecessor business, Wolf-Alport Chemical Co., used to produce radioactive thorium as a by-product of its rare earths chemical business. The thorium was dumped down the New York City sewer until the Atomic Energy Commission came into existence and started buying it. The problem has been known for years, and will cost millions of dollars to clean up. View the video for details and click on The Most Radioactive Place in New York City for a timeline and map by The New Yorker. The radioactivity is not intense enough to cause any risk to Rodriguez’s customers, but there might be long-term effects from him and his mechanics, on their backs under the cars all day long while radiation comes up through the earth. The EPA has laid down steel and lead shielding. Hat tip for this to my e-mail pen pal Jack Clontz. Financialization is a word used to describe the process by which a capitalist economy shifts away from investment, which increases the productivity of the real economy, to usury, which extracts wealth from the many for the benefit of the few. My e-mail pen pal Bill Harvey sent me links to an article and interviews on financialization by a Marxist economist named Costas Lapavistas. He shows that the process of financialization is going on not just in the USA, but also in the UK, Germany and Japan. Households are taking on debt to an extent unknown in previous generations. Business gets increasing amounts of its profits from finance rather than production; one of the most profitable parts of General Motors is GM Acceptance Corporation, which gives auto loans. At the same time, individual savings are increasingly hostage to the fluctuations of the financial markets. What’s going on? It is not merely a new “greed is good” moral code. Industrialists and financiers were just as greedy and out of control in the U.S. Gilded Age following the Civil War as they are now, and politicians were just as corrupt, yet out of that the United States became the leading industrial power in the world. Maybe the advanced industrial nations are reaching limits to growth. The cell phone revolution is not as big a deal as the automobile revolution, and investment in hydraulic fracturing for natural gas is not going to have the same payoff as the exploitation of the original natural gas fields. Maybe capitalists have so much capital that there aren’t enough productive things to invest in. That would be the Marxist explanation, as I understand it, although you don’t have to be a Marxist to think that this is so. The French economist Thomas Piketty is getting a lot of attention with his book, Capital in the Twenty-First Century, and his simple formula that a tiny elite acquire an ever-larger share of wealth and income whenever R (the average annual rate of return on investment) exceeds G (the annual growth rate of the economy overall). His extensive research documented that this has often been the case during the past two centuries, and is the case now, but he didn’t theorize as to why this is the case. But the implications are obvious. 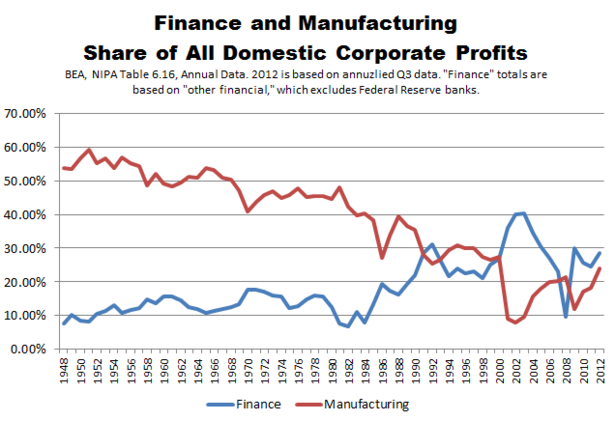 The way to prevent a takeover by a small oligarchy of wealth is to subject a couple of percentage points from R and/or add a couple of percentage points to G. A financialized economy—an economy based on getting people into debt rather than on increasing the production of useful goods and services—will push R up and hold G down. Finance’s hold on our everyday life must be broken by Costas Lapavistas for The Guardian. The Era of Financialization: An Interview With Costas Lapavistas Parts 1 and 2 by Dollars & Sense. The Era of Financialization: An Interview With Costas Lapavistas Parts 3 and 4 by Dollars & Sense. The Judicial Frame-Up of Occupy Wall Street Protester Cecily McMillan on corrente. This case makes my blood boil. I was brought up to believe that one of the worst things a man could do is to assault a weaker person, especially a woman. A young woman named Cecily McMillan was taking part in a peaceful demonstration, as she had a right to do. A police officer, not in uniform, grabbed her breast from behind, so forcibly it left finger marks. She instinctively elbowed in the face, as any woman who had been assaulted would do. She was brutally beaten, held without bail, given an unfair trial and sentenced to three months in prison. The fact that she could have gotten seven years doesn’t make this any less unfair. Government Treating Peaceful Left Activists Like Terrorists—Again by Paul Waldman for The American Prospect. The government has a pattern of cracking down on peaceful anti-war and environmentalist protesters, while indulging armed anti-tax and anti-government protesters. It has been many years since the days of Weatherman, the Black Panthers and the violent left, but racist and anti-government violence is all too common. The Trigger-Happy University by Kathleen Geier for The Baffler. Protests Against Commencement Speakers: Hard-Won But Hollow by Kathleen Geier for The Baffler. As an old guy, I can remember when the USA was shaken by campus protests against the Vietnam War, racial segregation and university ties to the military. Nowadays I read about college students trying to protect themselves against hearing morally objectionable commencement speakers or emotionally disturbing textbooks. I am not an academic, so I don’t know how widespread this foolishness is. I do know that if I were a student, the things I’d be bothered about are high tuition, student loan debt, overworked adjunct faculty and the corporatist attack on the liberal arts. But then again, taking part in mass protest demonstrations against those kinds of things is a good way to wind up like Cecily McMillan. Everything Is Broken by Quinn Norton for Medium. An explanation of why there is no such thing as computer security. Any computer system consists of different software that was created at different points in time, and has to be compatible with other bits of software all over the Internet. Most software was created by engineers and programmers whose goal was to finish the job within budget by a deadline, not to maximize security. And because most people are unaware of this, there is no economic incentive to do anything about it. Trans-Pacific Partnership: Another Trade Liberalization Scam by John Weeks for Triple Crisis. The fallacy of the argument for unilateral free trade. Nations benefit from engaging in international trade, but the terms of trade are important, and negotiable, and there is no benefit in a nation refusing to negotiate to its best advantage. Of course the TPP is not actually a free trade agreement, but that’s another subject. The Italian Disaster by Perry Anderson for the London Review of Books. A study of oligarchy and corruption in Europe. While Anderson made Italy his Exhibit A of corruption, he provided equally blatant examples of corruption in Germany, France, Britain, Ireland, Spain and Greece. The War Nerd: China, Vietnam and Naval Nerf Wars by Gary Brechter for PandoDaily. A study of limited war by age-old enemies. The conflict between China and Vietnam is unlikely to end anytime soon, but so far both sides have kept it from escalating into total war. A woman raised as a Christian, who has been a Christian all her life, has been sentenced to death in Sudan as an apostate from Islam, because her father was a Muslim. Meriam Ibrahim was sentenced a week ago after refusing to renounce her religion and her marriage to Daniel Wani, a Christian man born in Sudan and now a U.S. citizen. She said her father deserted his family when she was a child, and she was raised by her Ethiopian-born Christian mother. She said she never was a Muslim. She is eight months pregnant. Her husband, who is confined to a wheelchair, was allowed to visit her Monday. He said she was shackled to a wall. Her 20-month-old son, Martin, is in prison with her. Sudan officials said the verdict is not final. There has been a great international protest of the sentence, and I hope the Sudan government will force the religious court to back down. What kind of a religion is this? I believe that how you live is more important than your opinions about religion. But suppose, for the sake of argument, that your soul is doomed if you do not believe that there is no God but Allah, and that Mohammed is his prophet. What is the point of forcing someone to give lip service to that belief, or any belief, against her will? Does the court believe that God wants a hypocritical and unwilling submission? Or do they think that God can be fooled into believing the conversion is sincere? I do not believe that the Sudan religious court represents all Muslims. History shows that intolerance is not an inherent part of the Muslim religion. At certain times in history, persecuted Jews and heretical Christians took refuge in Muslim lands. The problem is with a Muslim sect called the Wahhabis, who originated in Saudi Arabia and whose teachings are spread through the Muslim world by the Saudi monarchy. They are among the few Muslim sects that persecute other Muslims. Wahhabis are not necessarily terrorists, but Osama bin Laden and his Al Qaeda movement arose from Wahhabi teachings. The rise of Wahhabism is a historical accident—the fact that the Ibn Saud family allied itself with the Wahhabi movement in its rise to power in Arabia, and the fact that so much of the world’s oil wealth is under control of the Saudi family. The world steel industry is going through a shakeout. The world’s steel industry is producing more steel than can be sold on the market, which means some steel producers are doomed to go out of business. The question is: Which ones? As things stand now, it is the U.S. industry that is at risk, according to the Economic Policy Institute, a pro-labor think tank. They say that’s because the U.S. market is more open to imports than other countries’ economies, and more vulnerable to dumping. 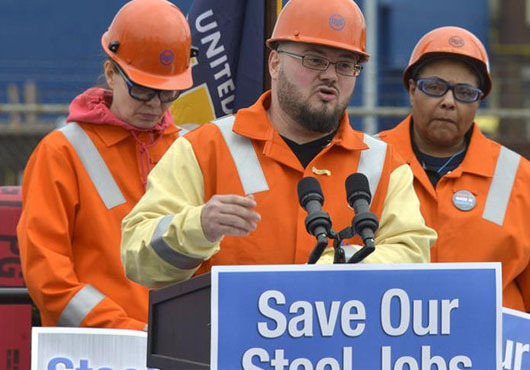 This means the 125,000 jobs in the U.S. steel industry are at risk, plus, according the EPI, up to three times that many whose jobs indirectly depend on the steel industry. Senators Sherrod Brown, D-Ohio, and Jeff Sessions, R-Alabama, have asked the U.S. Commerce Department for penalty tariffs against South Korea and other countries. This may be necessary to enable the U.S. steel industry survive the current shakeout, but it is not a long-term solution to the industry’s problems. 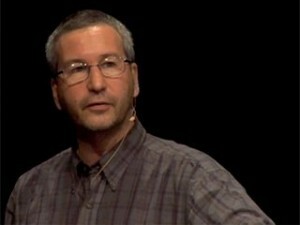 It is an example of Robert B. Reich, writing more than 30 years ago, called industrial policy by historic preservation. Reich, who later served as Secretary of Labor in the Clinton administration, said the U.S. government will spend money to rescue industries on the brink of failure, but not to help make these industries successful in the first place. Ronald Reagan famously said during the 1980 Presidential campaign that a lot of pollution comes from trees. 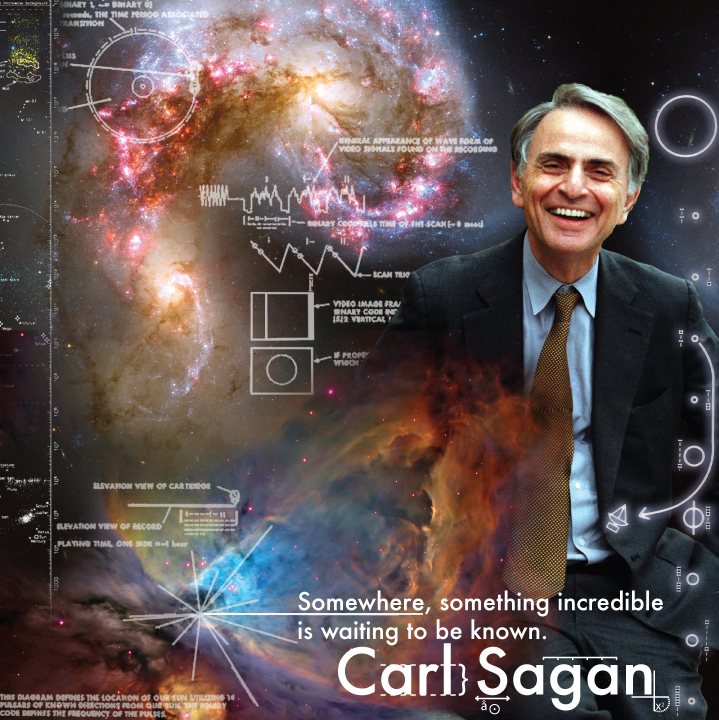 In fact, he was right, or at least partly right. An article in the current issue of Scientific American said that some species of trees — particularly black gum, oak, poplar and willow — release high concentrations of volatile organic compounds (VOCs), similar to what comes out of smokestacks and auto tailpipes. Sunlight turns these compounds into ozone which can cause asthma, bronchitis and other respiratory illnesses. This is not an argument for cutting down trees or for ignoring industrial and auto emissions. It is rather an argument for planting more birch, linden, tulip and other low-VOC species and against excessive concentrations of high-VOC trees. Click on The Paradox of Pollution-Producing Trees: Some Greenery Can Make Smog Worse for the complete Scientific American article by Mark Fischetti. The survivalist blogger Dmitry Orlov thinks debating “political correctness” is a way to prevent discussion of real issues of American politics. Discussions of social policy, especially with regard to such things as the rights of women and sexual and racial minorities, play a very special role in American politics. … It has recently been shown that the US is not a democracy, in which public policy is influenced by public opinion, but an oligarchy, where public policy is driven by the wishes of moneyed interests. The founders of the Republic of India were secularists. They wrote a constitution which, like the U.S. constitution, was friendly to religion, but religiously neutral. Like the U.S. founders, they sought to instill a patriotism based on constitutional loyalty rather than loyalty to a racial, religious or ethnic group. Narendra Modi, India’s new prime minister, rose to power as a Hindu nationalist. This is cause for concern. Ethnic nationalism linked to religion is poison. It links the total loyalty that is demanded by religion to the narrow and exclusive interests of a particular racial or cultural group. The Hindu religion has given the world great spiritual insights, but in recent years rioting Hindus have killed Muslims, Christians and other minority groups, and Modi has refused to condemn them. When Modi was chief minister of Gujarat province in 2002, rioting Hindus killed 1,200 Muslims and drove out hundreds of thousands more. Modi was accused of egging the rioters on. The U.S. State Department denied him a visa on human rights grounds. However, an Indian investigating commission found no evidence of guilt. During the current election campaign, Modi said his priority will be economic development. He even appealed for Muslim votes, much like Gov. George Wallace appealing for African-American votes the last time he ran for governor of Alabama. His Bharatiya Janata Party won 37 percent of the national vote, but that was enough to give it a majority of seats in Parliament. The Congress Party, which governed India since independence, received only 23 percent. The other 40 percent was divided among regional and splinter parties. Analysts think Modi’s success was largely due to public disgust with the corruption of the Congress Party. 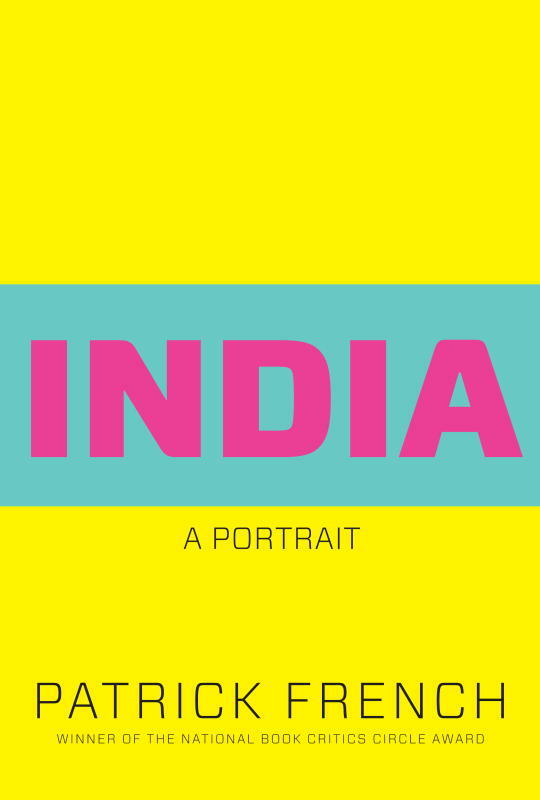 Some weeks ago I read a book, India: a Portrait by a journalist named Patrick French. The author pointed out that not only have almost all the leaders of the Congress Party been members of the Gandhi and Nehru families and their widows, but the successful candidates in the lower levels of the party also are members of family dynasties — India’s version of the Kennedys, Clintons and Bushes. This being so, ambitious people with ability but no connections joined the BJP, and their aim is a country open to enterprise and initiative and free of Congress’s stifling bureaucracy. Modi said his priority will be economic development — more toilets, not more temples. May it be so! Torture is the ultimate crime against human dignity. Torture is worse than murder. To take a human life is a serious thing, but every human being is fated to die of something, sooner or later. A torturer’s goal is to destroy the human spirit, while allowing the mutilated mind and body to survive. I was horrified, but not really surprised, to read that more than four in 10 people around the world fear being tortured by their own governments, a survey by Amnesty International indicates. The survey covered 21,221 people in 21 countries, and indicated that (1) 44 percent fear being tortured by their own governments and (2) 82 percent want international rules against torture, but (3) 32 percent think torture can be justified in some circumstances — which indicates there are some who want rules but believe there can be exceptions to the rules. The fear of torture was greatest in Brazil (80%), Mexico (64%), Turkey (58%), Kenya (58%), Greece (57%), Indonesia (54%), South Korea (54%) and Peru (54%). But I found these figures less shocking than the finding that 32 percent of Americans fear torture by their government. 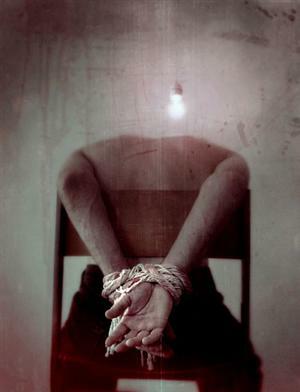 Even in the United Kingdom, 15 percent fear governmental torture. The desire for rules against torture was strongest in South Korea and Greece (87%) and weakest in Peru (a still strong 71%). The desire was slightly below average in the USA (77%). The belief that torture is sometimes justified was strongest in China and India (74%) and weakest in Greece (12%). Some 45 percent of Americans though torture is sometimes justified. Is the fear of torture in the United States a new thing? Or did it always exist among black people, poor people and other marginal people, without me, as a college-educated white person, being aware? 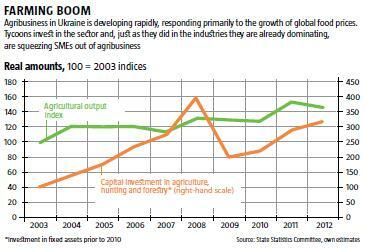 Who will own the Ukrainian breadbasket? The rich black soil of Ukraine is the nation’s greatest asset. The soil made Ukraine the breadbasket of Europe and Russia in an earlier era, and while nowadays Europeans import wheat from North America, the Ukrainian land is still a coveted prize. Note that none of this is certain. Click to enlarge. Investment in farmland by wealthy Ukrainians has tripled in the past five years, and the previous Ukrainian government discussed allowing foreigners to purchase Ukraine land. There was even talk that the Chinese would lease an area larger than Massachusetts for 50 years. I put this under the heading of “interesting if true.” The fact that something is discussed doesn’t mean it will happen. 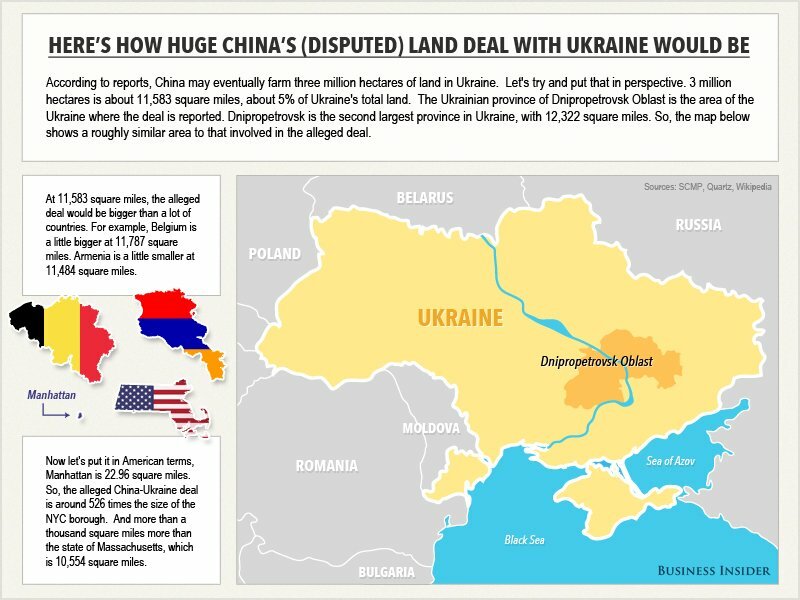 But Chinese have been buying up large amounts of farmland in Africa and Australia, so there is no reason why they wouldn’t be interested in Ukraine. The conflict with Russia has disrupted both Ukrainian grain exports and the Ukrainian harvest, but this is temporary. Analysts seek a great potential in Ukraine as a breadbasket, not for Europe and Russia, but for the rising middle class of Asia. Who will own the breadbasket? Ukraine has accepted a rescue package for the International Monetary Fund, which typically demands that countries open up their resources to foreign investment. Presumably, in the current state of affairs, this would not include Russian investment. The struggle in Ukraine is not only a conflict over language, ethnicity and political ideology; it is a struggle for control of resources. When the Bolshevik Revolution occurred, European and American Marxists were surprised. Marxist theory said Communism would come first to the most economically advanced countries. But Bertrand Russell, in The Practice and Theory of Bolshevism, wrote that Russia was the only country in which a Communist revolution could have taken place, aside from the USA. A Communist revolution in Germany, France, Britain or some other country would be soon been destroyed by invasion or economic blockade of the capitalist countries. The same was true of China, another country where a Communist revolution was not supposed to occur, but which has become, or is well on its way to become, the world’s leading economic power. Russia and China are members of the BRICS bloc, a loose association which also includes Brazil, India and South Africa. These rising nations see themselves as an alternative to the old G-7 group, consisting of the USA, Canada, Britain, France, German, Italy and Japan. Pepe Escobar, a roving foreign correspondent for Asia Times, interprets U.S. foreign policy as a doomed attempt to prevent Russia and China from dominating the heart of Eurasia, which he calls “Pipelineistan”. While the USA has sacrificed its industrial base to financialization and militarization, China and Russia have been building up their energy infrastructure in the part of the world that is least vulnerable to American air and sea power or to blockade. 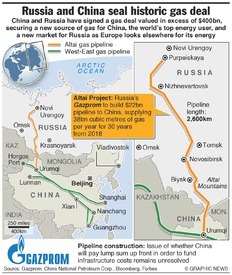 China is working on roads, railroads, pipelines and fiber optic networks that will reach across central Asia and Russia all the way to Europe, and negate U.S. control of the sea lanes. Russia runs a sizeable trade surplus. Humongous Chinese banks will have no trouble helping Russian banks out if Western funds dry up. In terms of inter-BRICS cooperation, few projects beat a $30 billion oil pipeline in the planning stages that will stretch from Russia to India via Northwest China. Chinese companies are already eagerly discussing the possibility of taking part in the creation of a transport corridor from Russia into Crimea, as well as an airport, shipyard, and liquid natural gas terminal there. And there’s another “thermonuclear” gambit in the making: the birth of a natural gas equivalent to the Organization of the Petroleum Exporting Countries that would include Russia, Iran, and reportedly disgruntled US ally Qatar. The (unstated) BRICS long-term plan involves the creation of an alternative economic system featuring a basket of gold-backed currencies that would bypass the present America-centric global financial system. Unless either China or Russia changes course, the future of Russia is to be an energy and raw materials hinterland to China, the world’s leading industrial power. It should be needless to say that this is not a development I welcome. I would not wish anyone I care about to live under China’s or Russia’s authoritarian governments. What should the United States do about this? We should be building up our own country’s industrial strength rather than trying to prevent the rise of other nations. Russia’s annexation of Crimea gives it a dominant position in claiming the oil and gas reserves of the Black Sea. 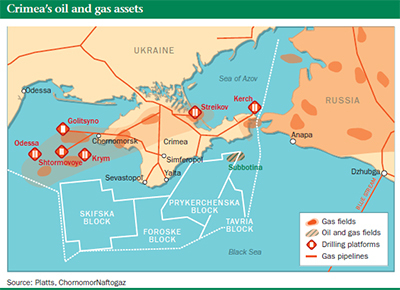 Crimea’s oil and gas assets, shown in the map above. now belong largely to Russia. The maps at the right show Ukraine’s and Russia’s claims in the Black Sea before and after annexation. The red area in the lower map at right shows what Russia gained by taking over Crimea. Click on the link below for details. In Taking Crimea, Putin Gains a Sea of Fuel Reserves by William J. Broad for the New York Times. Speaking of Ukraine and Russia, here are links to three articles on the background of the Ukraine crisis that I found to be highly illuminating, and perhaps you will, too. The Errand-Boys of Europe by Padraig Murphy for The Dublin Review of Books. A look at the historical roots of Putin’s “Eurasianism,” a political ideology that says Russia should keep apart from Europe and its false philosophies of democracy and individual freedom, but instead be a bridge between Europe and Asia based on a philosophy of authoritarianism. Fascism Returns to Ukraine by Timothy Snyder for The New Republic. A well-known historian makes the case that Ukraine is a democratic nation, and that fascism is on the rise, not in Ukraine, but in Vladimir Putin’s Russia. I think this article contains information and insight that is both true and important, but it is only part of the truth. The New Cold War’s Ukraine Gambit by Michael Hudson for Naked Capitalism. This is the other part of the truth: How Ukraine was destabilized by U.S. financiers and militarists and their European allies. At the supermarket at 3 a.m.
Mark Evanier, a writer who lives in the Los Angeles area, wrote on his blog about how he was in a supermarket about 3 a.m., and the lady ahead of him in line suddenly found that her credit card balance was insufficient to pay for her $35 worth of groceries. It was obvious that she had no cash and no other way to pay for food, and she gave a cry of ultimate despair. ANNOUNCER: No need to be alarmed, ladies! They’re not really beetles! via David Iscoe’s WordPress Blog.